Two, to attend a public event to discuss a draft bill recently published in newspapers proposing amendments to the 1993 drug law. It was being jointly organized by the Global Commission on Drug Policy (GCDP) and the Drug Policy Advocacy Group Myanmar (DPAG). China and Drugs have for long been subjects close to my heart, for I have always believed that unless the two are properly treated, the country will still be a long, long way from being one fit to live, let alone becoming a Switzerland in the east. This journal tries to inform the reader what I had learned there. Nothing much to say for today except that I meet friends to review on the by-elections that were held 4 days earlier. From them, I learn at least one thing: In the Burman dominated lowlands, it is not about the peace process like in the highlands, but about the economy that will more than likely determine which party and candidate the voter will choose in 2020. 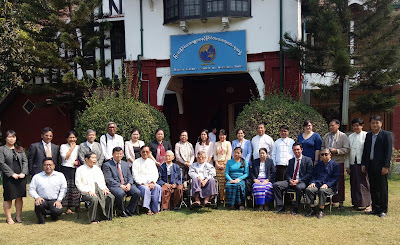 Participants at the China-Myanmar Scholars Dialogue, 6 April 2017. The China-Myanmar Scholars’ Dialogue is held at the meeting hall of the MISIS, also known as Myanmar ISIS. The institute was set up in 1992 by Gen Khin Nyunt, as Office of Strategic Studies (OSS), he informs me. He doesn’t say when the name change took place, however. But I guess that won’t be hard to guess. 5 Chinese citizens were killed and 8 injured. Economic projects suspended. Local governments bearing big burden for refugees. We enjoy good relations on the G-to-G level. But on the people-to-people level, no. Reading between the lines, the presentations by the two scholars seem to have summed up the whole lot of discussions that followed today: No trust exists between the two who need each other so much. Beijing does not support weapons to Wa or Kokang. Ordinary people may be helping them without Beijing or Kunming’s knowledge. With regards to the West involvement in Myanmar Peace Process, our stand is that we cannot interfere in US-Mexican trans-border affairs, because we don’t have stakes in them. Correspondingly, armed conflicts in Myanmar impact China/Myanmar relations, but nothing to the West. So why should we want to involve them? (Note: He names US, UK, Japan, EU and others, but not India) As for UN, we have no objection. We need every means we can to promote our relations. For instance, there are lots of Chinese restaurants in Yangon, but no Myanmar restaurants in Beijing. We should do something about it. For EAOs to sign the NCA, we can persuade, but no more. 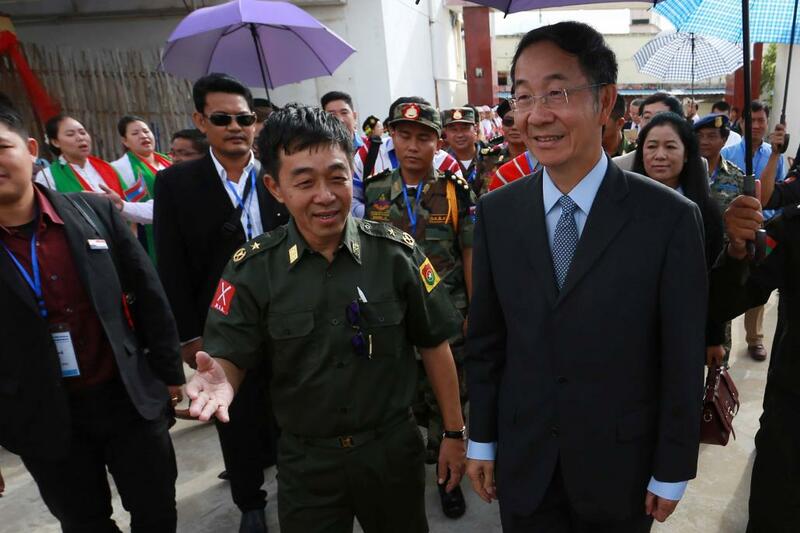 It’s not only the Myanmar government that distrusts China. When Mr Sun Guoxiang, China’s special envoy, asks the EAOs to stop fighting and sign the NCA, they think China is working for the Myanmar government. Both sides seem to suspect China is on the other side. Thailand and Myanmar have good relations. The result of it is that conflicts on the border have come to a complete halt. We hope China can do the same. As long as clashes continue, bilateral relations will be difficult to improve, as there are widespread reports and images of support coming to the rebels from across the border. EAOs along the Chinese border are stronger because they have arms factories there. On the other hand, those along the Thai border are weaker, because they can’t establish armeds factories there. Even if they have sufficient funds, buying arms from across Thailand is not easy. As for the three EAOs (AA, MNDAA and TNLA), the Tatmadaw used to demand that they lay down arms. But that was before the new government took office. Since then, it has only requested them to renounce the armed struggle and lock up their firearms along the border, no need to surrender them to the Tatmadaw. There are some things we can learn from China. Wa in Yunnan have good relations with the Han majority, but not those in Myanmar. The 2 plus 2 arrangement has limitations, because it is too formal. Each side sticks to its own policies and go home. They have never got to the point of resolving the issues. Toward the end of the day, Dr Kong Jianxun, who happens to be from the Hani ethnic group, known in Myanmar as Akha, proposes that a joint border fact finding team be formed, as a first step, to ascertain facts from myths, which is seconded by several Myanmar scholars, who add that HD should fund the project. The latter promises to consider the request. The day ends with a dinner party at a restaurant called Hong Bao, but also strangely known as Water Library, which I have yet to find out how it came to be named as such. At 21:00, I’m back in my hotel room.